Engineer [Assistant] – Fred Kelly Jr.
Half-Speed Mastered by Shawn R. Britton at Mobile Fidelity Sound Lab, Sebastopol, CA on the GAIN 2 ULTRA ANALOG System. Machine Numbered. Track D3 is marked as a bonus track. Anyone know how many of these MFSL were actually pressed? 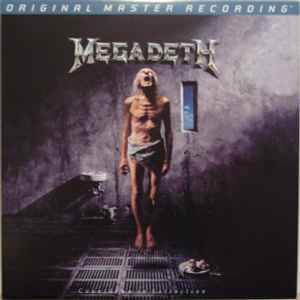 Would love to see MFSL give the earlier Megadeth albums this 2LP treatment. Sound on this double MFSL LP is incredible! I think that this masterpiece deserved this MFSL sound! !